From the same Mediocre folks who created one of our favorite games called Granny Smith, a new game with the title Does Not Commute is available on Google Play. 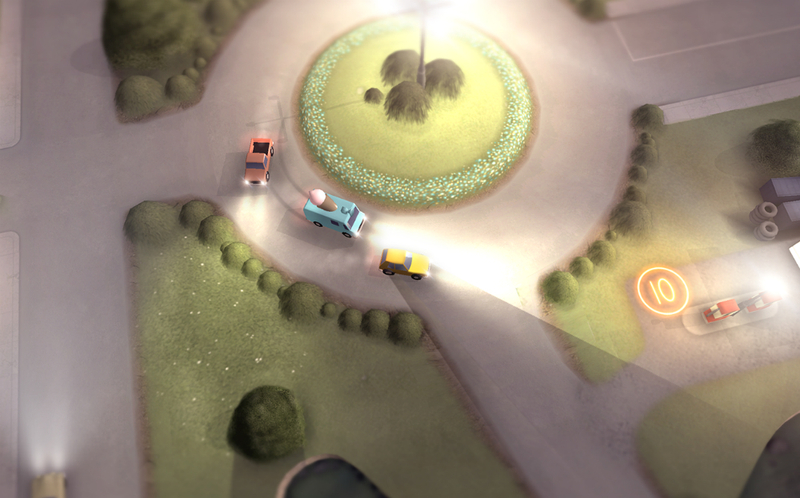 In Does Not Commute, you control many drivers one at a time in a closed setting. Using your fingers, you choose which route drivers will take to get to their destination. However, once you are in control of about 10 vehicles, you need to be very careful that none of the cars hit each other or fall off of the map. The game is time based, meaning you have 60 seconds to get all of your cars across the line. There are time tokens placed around maps, which should help you never run out. If you screw up, you can rewind your vehicles, removing any accidents, but it does cost you time. It is a very fun and unique game, plus it is free to download. However, to utilize premium checkpoints, that allow you to save your progress at any time, you have to pay $1.99.